May 5, 2015, 9:07 p.m. It goes without saying that our eyes are an extremely important part of our lives. Having healthy eyes allows us to see the world more clearly and helps us maintain a better quality of life overall. 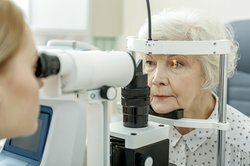 Unfortunately, when we fail to take steps to properly care for our eyes, we can inadvertently increase our risk of suffering from vision problems later in life. With the American Academy of Ophthalmology estimating more than 43 million Americans will develop age-related eye diseases by 2020, it’s important to take any steps we can to care for our eyes and reduce our risk of developing eye problems. 1) Make regular doctor’s appointments. Scheduling an annual eye exam is one of the best ways you can care for your eyes. A number of eye conditions will not present with outwardly noticeable symptoms as they develop, meaning they can only be diagnosed during a dilated eye exam at your eye doctor’s office. Finding an eye problem as early as possible will allow an ophthalmologist to better treat any health issues, or at least minimize the effects of the problem over time. 2) Know your family history. Your family history is always an extremely important piece of information to have when working with any doctor. When dealing with your vision, it’s particularly important to know if your family has a history of diabetes or high blood pressure. Conditions such as diabetes and high blood pressure can cause eye problems as they progress; getting regular screenings for these issues, and making your ophthalmologist and other doctors aware of your history, will help them address your health needs. Other important conditions in your family history to consider include Age Related Macular Degeneration, Glaucoma, and Blindness. 3) Watch for changes in your vision between visits. If you develop vision problems between your annual exams, it’s very important to see your eye doctor sooner rather than later. Even if you just had an annual eye exam – or if you’re coming in for one soon – you should call your eye doctor immediately if you begin to have trouble seeing; if you experience eye pain or swelling of the eye; if you develop double or hazy vision; or if you see flashes or lights, floaters or halos of light in your field of vision. 4) Wear the right protective eye gear. Like any other part of your body, your eyes will need to be protected from the effects of certain day-to-day activities. If it’s sunny out, for example, wearing proper sunglasses – meaning sunglasses equipped with UV protection properties – will limit your eyes’ exposure to ultraviolet rays, reducing your risk of developing cataracts or other eye conditions. If you play sports, you’ll want to wear any head and eye gear associated with that sport to protect your eyes from being damaged while you play. And if you work with tools at work, in your garage or in a similar setting, you’ll want to wear safety glasses to ensure that no debris or sharp objects damage your eyes while you work. 5) Maintain a healthy lifestyle. You’ve heard it before: exercising, eating right, and not smoking will help keep you healthy. The same is true for your eyes. Exercise may help to reduce your risk of developing some age-related eye problems, while eating a healthy and balanced diet filled with fruit, leafy greens and fish that contain omega-3 fatty acids can reduce your risk of developing cataracts. And since smoking has been shown to increase people’s risk of developing eye conditions such as age-related macular degeneration and cataracts, quitting or avoiding the habit altogether will help to increase your chances of maintaining healthy eyesight. While following these steps can’t guarantee that you’ll never experience an eye or vision problem, following them will still go a long way in decreasing your risk of developing a preventable vision-related health issue. If you find that you have additional questions about caring for your eyes that we haven’t discussed here, we invite you to call our offices so we can speak about your individual eye care needs. June 21, 2018, 7:56 p.m.